As the saying goes, "a rising tide lifts all boats." 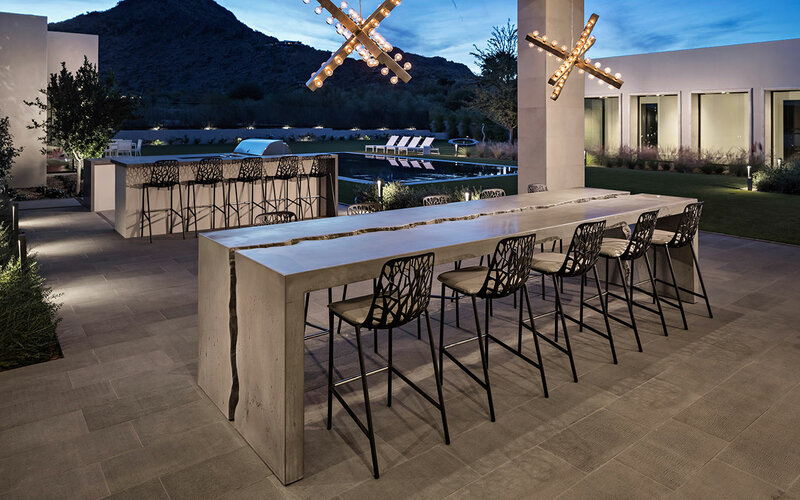 Which is why our mission is to elevate the level of design, craftsmanship and visibility of high-end concrete. 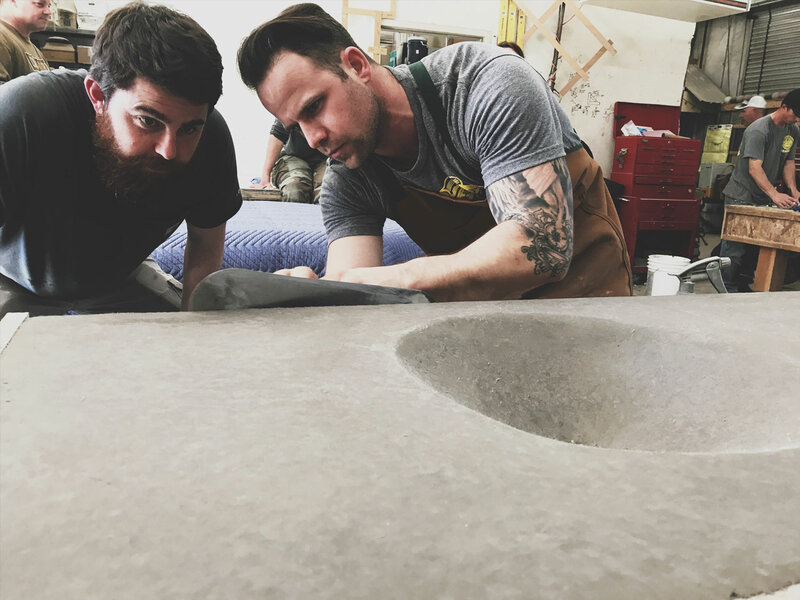 In order for concrete to be recognized as a premier artisanal material, it should be fashioned at a master level. 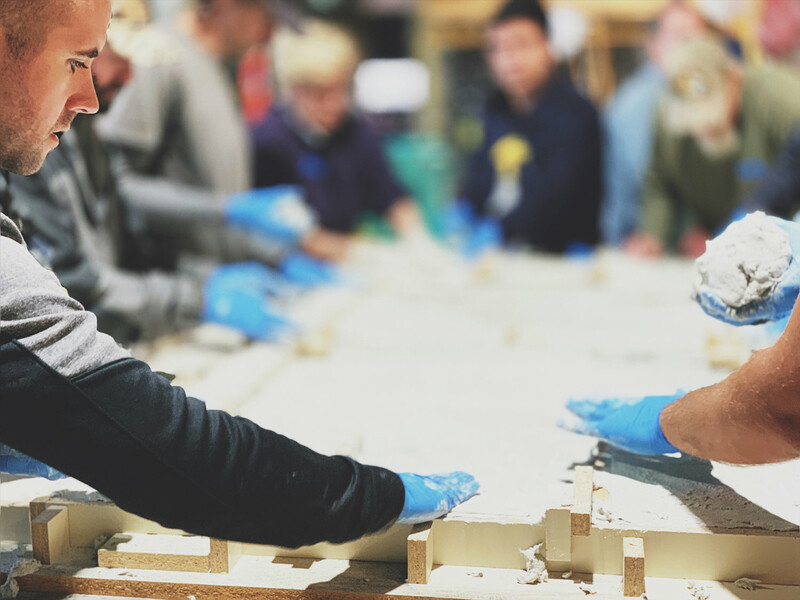 By training professionals and those just learning the craft, we help artisans reach their full potential and benefit the industry as a whole – increasing the value of finely produced concrete in the process. 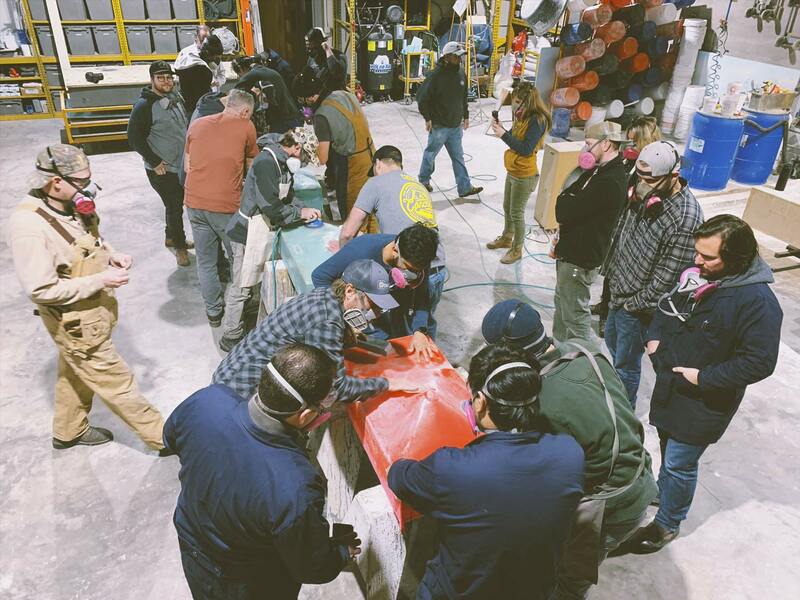 Since 2005, more than 1,200 artisans have attended training workshops at Concrete Design School (C.D.S.). 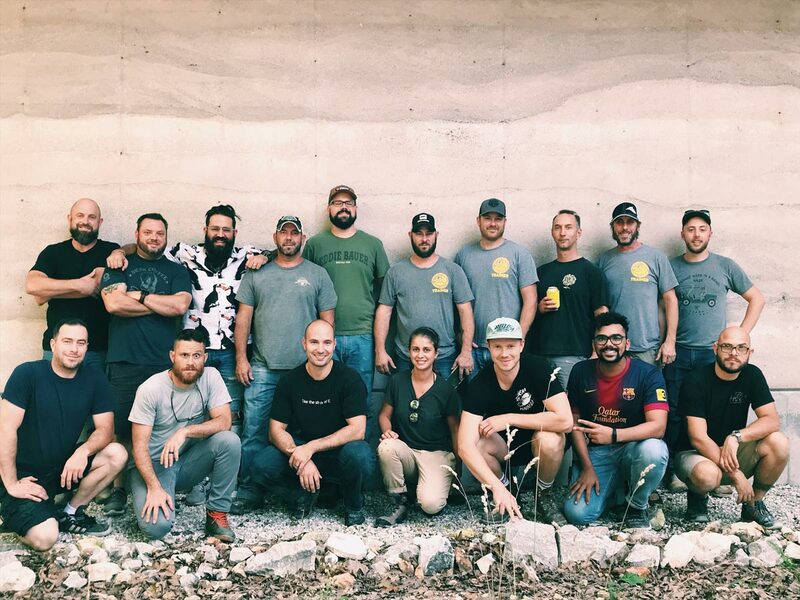 During this time, we have built a reputation for excellence in the industry, which is why so many have trusted us to teach the art of high-end concrete design. What sets us apart is experience, and we invite you to experience the difference. Register for a hands-on workshop today. A B O U T C.D.S. 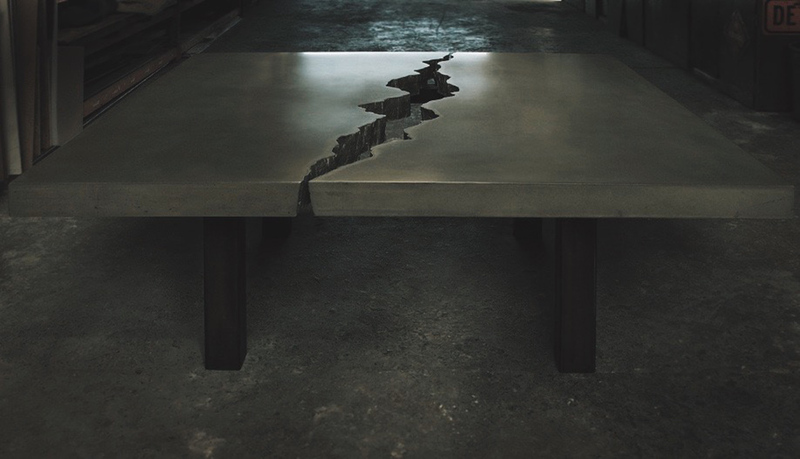 You’ll learn from craftsmen who are currently creating custom concrete pieces for high-end clientele. People who practice their trade daily will teach you the same techniques used to operate successful, award-winning concrete businesses. 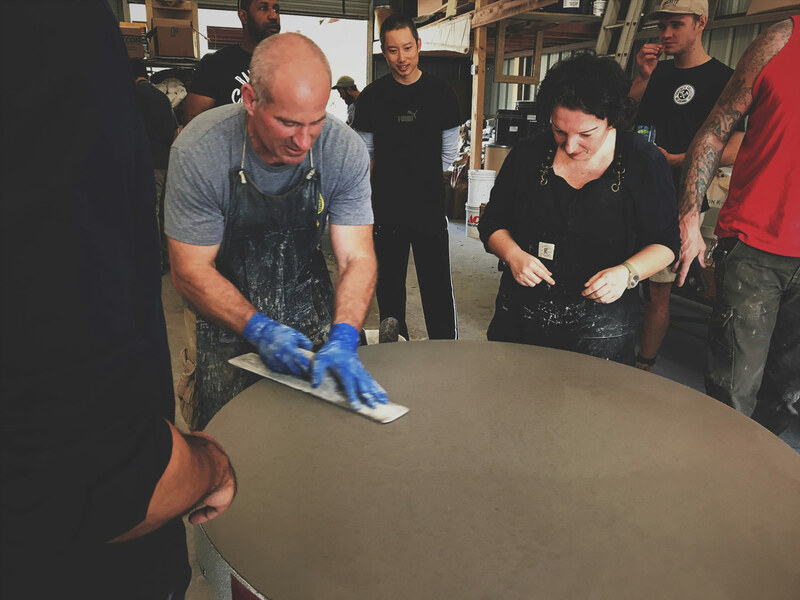 These workshops offer instruction on the latest techniques and insights in concrete design. What sets our training apart is the relevance of our information. The school’s position under the GDCos. umbrella allows us to give you current, real-world knowledge of what it takes to make it in this profession today. And we’ll show you how we do it, using products and techniques proven to work. Design We create a unique concrete product in every class, never making the same piece twice. We’ll also discuss ways you can develop and improve your own individual and marketable style. Tools The equipment used to manufacture concrete is changing rapidly. Our workshops include the most cutting-edge tools in the industry and the best ones for the job. Materials What we use for client work today is different than what we used a year ago. We’ll cover all the materials currently available, and show you which ones produce the best performing concrete (HINT – It’s what we use). 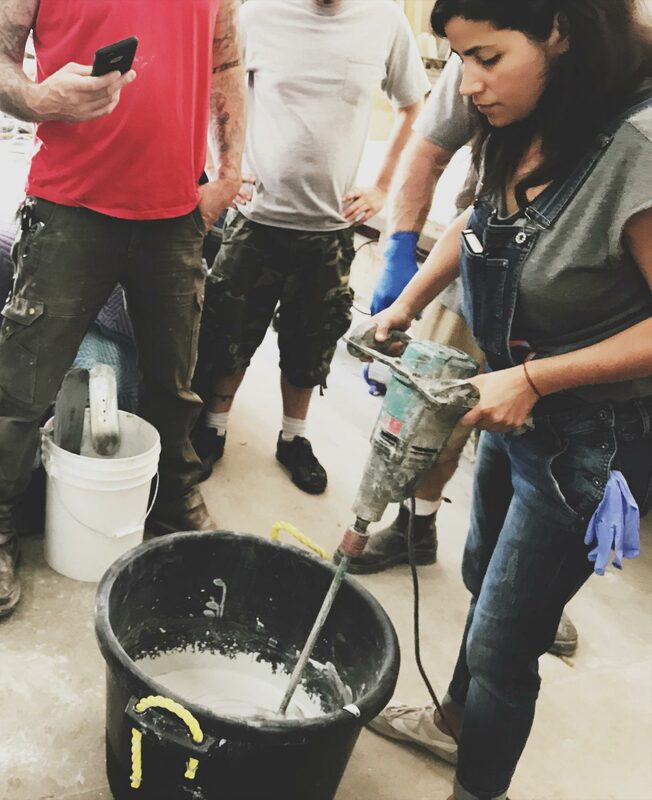 Method What is paramount in your instruction is learning the technique to create quality, high-end custom concrete. No other training program offers more practical insights and real-world experience with these methods. 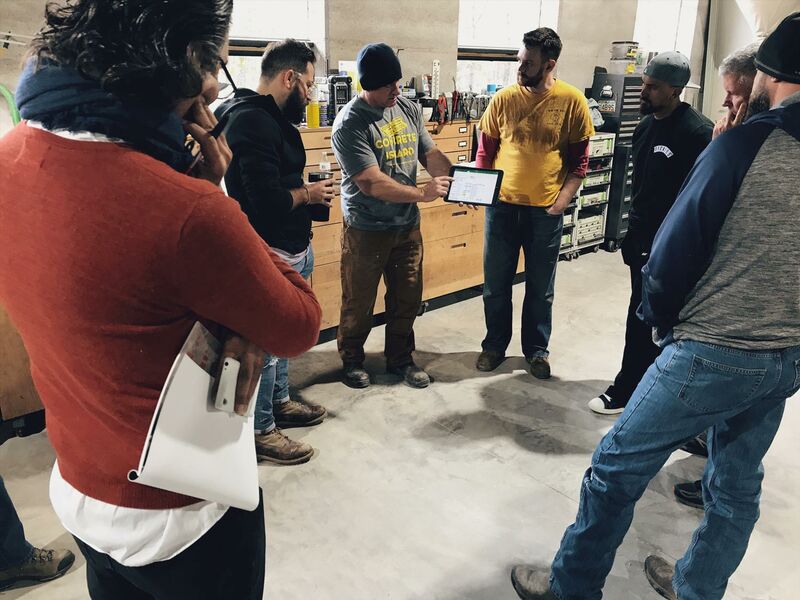 Business Practices Learn proven processes for operating a successful concrete business from people actually operating successful concrete businesses. 1. We hold an extremely limited number of hands-on workshops per year, so they sell out fast. 2. We rarely hold classes in close succession so this is a rare opportunity for you to attend three amazing workshops, two of which are rarely offered, in a single week! 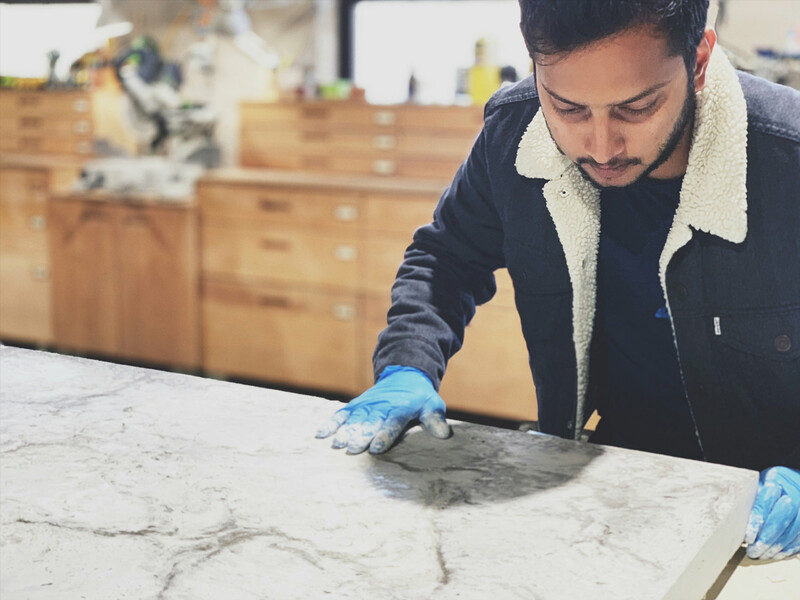 If you are serious about your trade, or you want to explore entering the concrete or design industry then this intensive workshop package is for you. 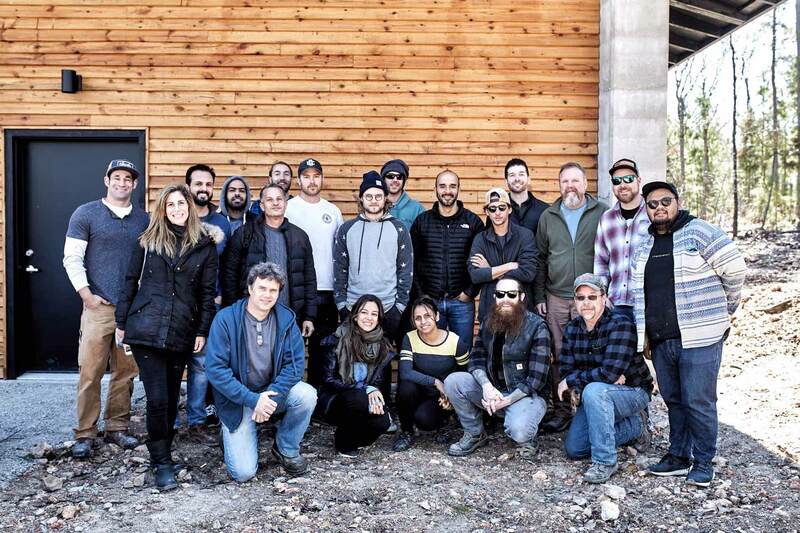 Get over 70,000 hours of real world experience condensed into 50 hours. We live in a world of imitation materials that are manufactured into disposable furniture by soulless machines. We have lost touch with what is real and long for furniture that bears the imperfections of the mortal hand, and ages as gracefully in time as we do. 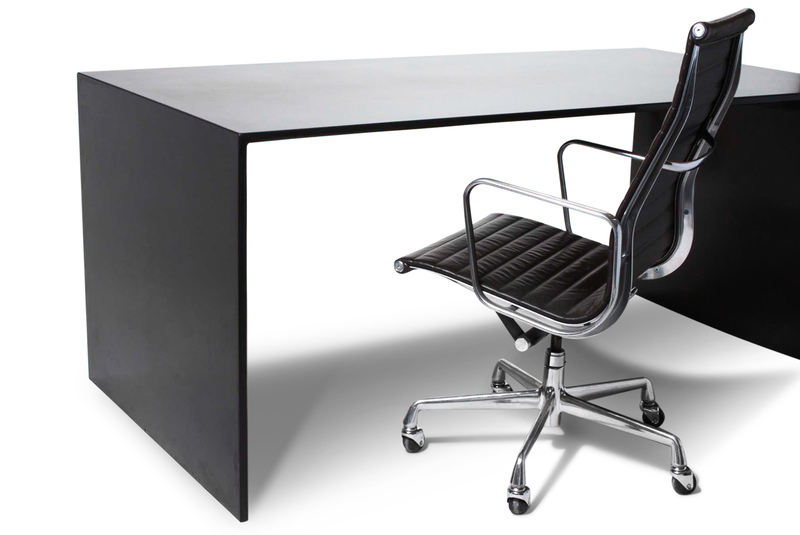 Furniture that is designed for humans living in a human world, and conceived with durability and longevity in mind. 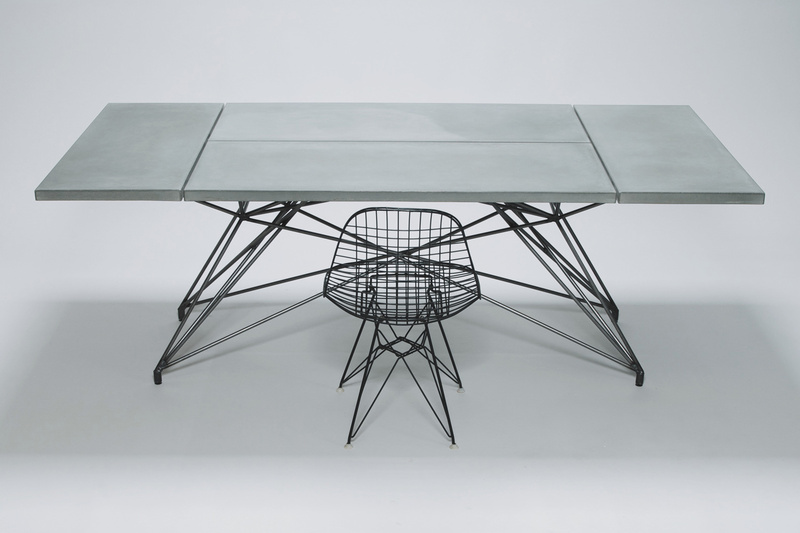 Furniture with the narrative that is was handmade by the owner. That is a rare thing in these modern times, and that is precisely the focus of this workshop. 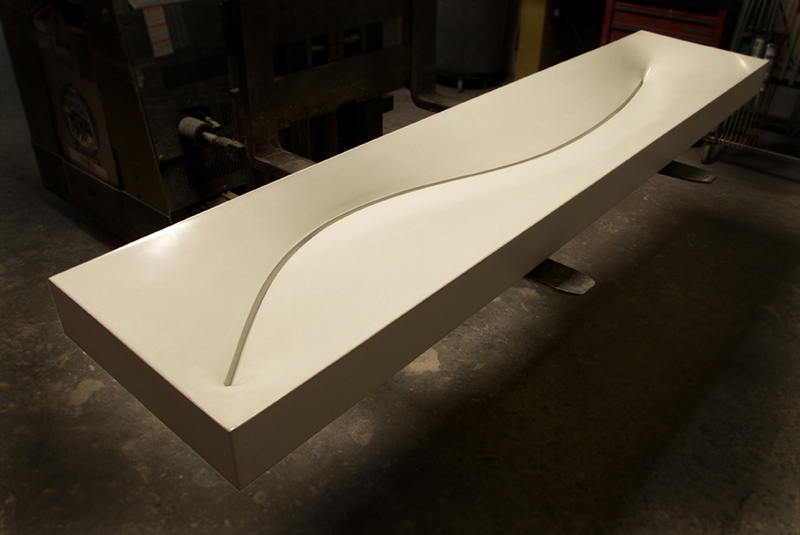 In this 1-day class we will work together in teams to design and cast a piece of furniture. 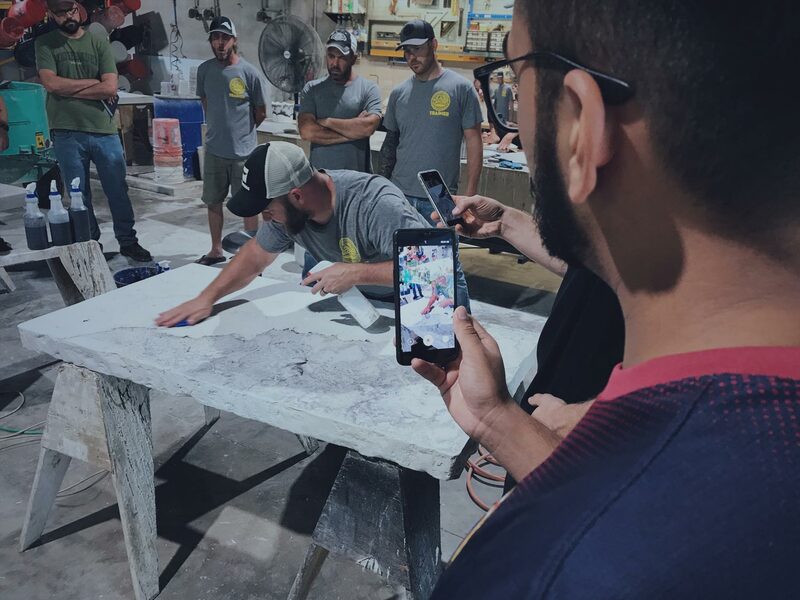 We will cover design criteria, the basics of concrete, tools and materials, form building, and how to properly and professionally cast, cure and finish concrete. It is extremely important to note that this class is an exploratory exercise. 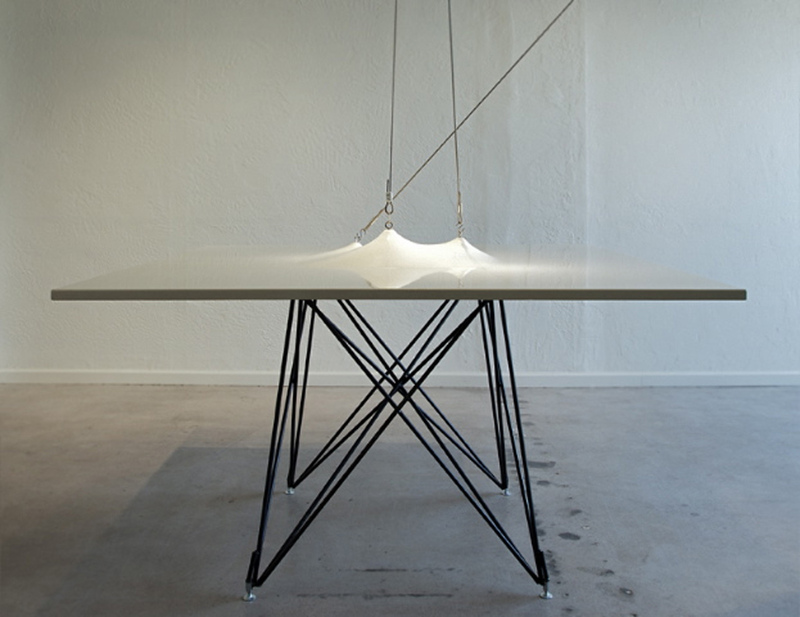 The purpose is to open your way of thinking in all aspects; furniture design, materials, and fabrication. Expect to fail, for through failure lies the answer. Failure is a fundamental aspect of knowledge, and one that we embrace wholeheartedly. Many of the workshop pieces turn out perfect, and many do not, but all have a lesson contained within. 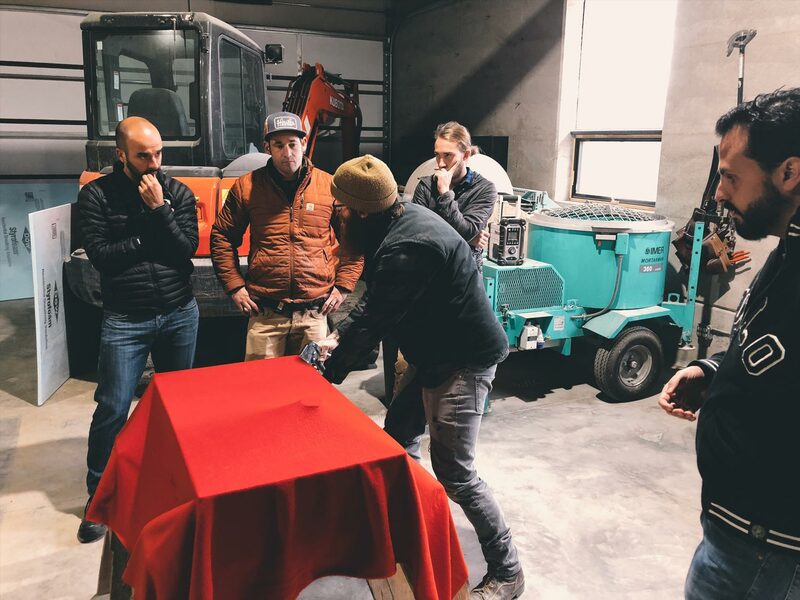 We highly recommend that you attend the 2 Day Fabric-Forming + GFRC Workshop if enrolling in this class as we spend very little time on the science of concrete and nearly all the class working on designing and building the furniture piece. 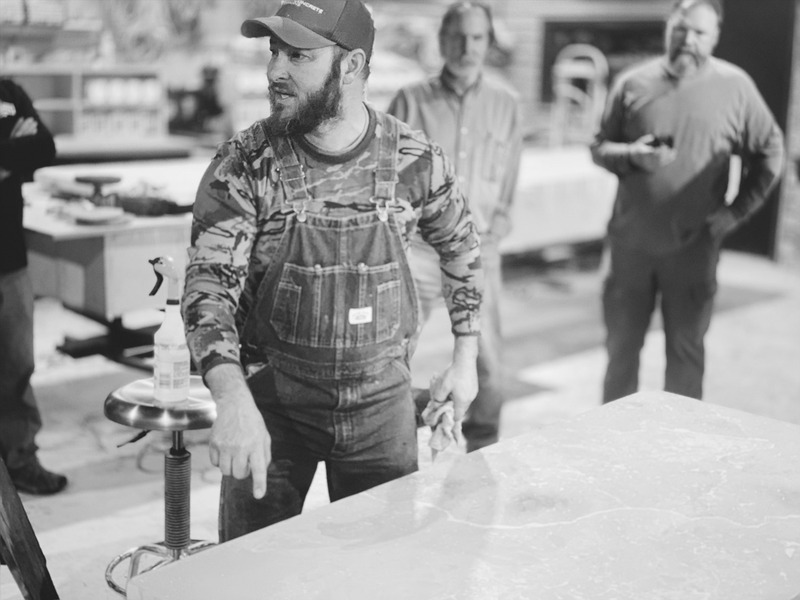 This class will be taught by Brandon Gore, founder of Gore Design Co. and Hard Goods, and a judge on the hit furniture design competition 'Framework.' The class will be held at his private studio in the Ozark Mountains of Eureka Springs, AR. 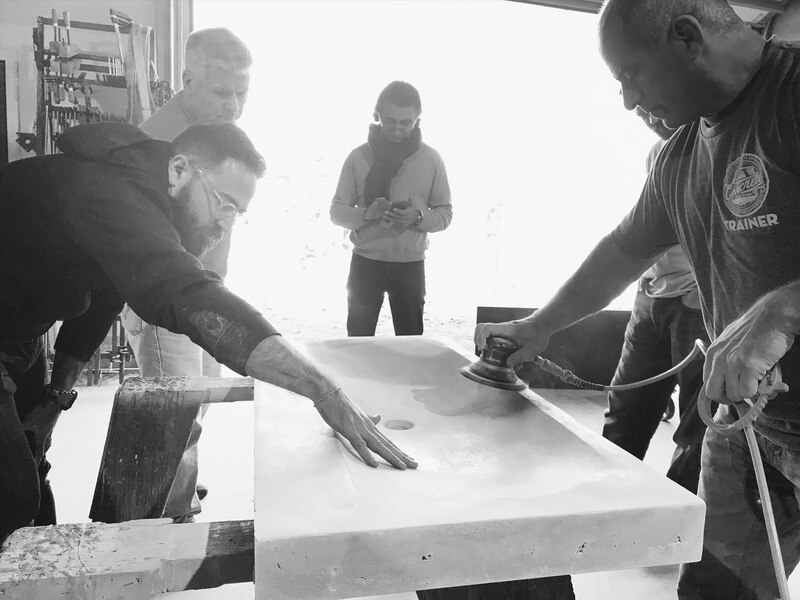 When it comes to training, no one has been teaching cutting-edge concrete longer than Brandon Gore. As with all things in life, you get what you pay for - good training isn't cheap and cheap training isn't good. Invest in yourself, enroll in this workshop today before it is sold out and you spend the rest of your days lamenting what could've been had you only taken this class. In today’s modern age of casting most concrete artisans have forgotten, or worse yet, never learned the fundamentals of manipulating concrete using simple hand tools to control the very nature of the material, hereinafter referred to as 'Upright Casting'. 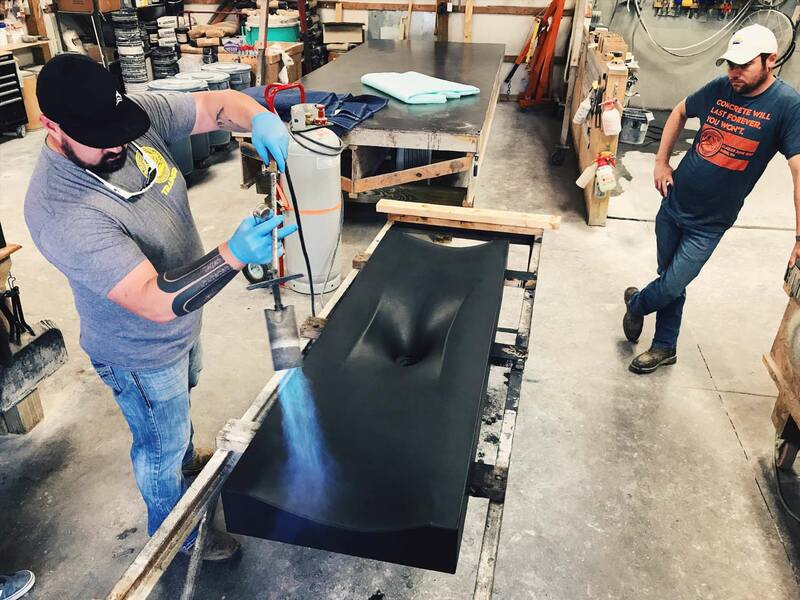 Upright Casting plainly explained is the process of crafting and processing concrete goods right-side-up, in it's final state, instead of upside-down against a form. This difference allows an infinite variety of creative options not available with common casting methods. These techniques date back more than 2,000 years and were utilized by the Romans in the creation of their masterpieces. Modern technologies have blinded the current craftsman to the inherent beauty that makes concrete "concrete", the 'soul of the substance' if you will. A simple and subtle shift in finishing techniques can yield drastically different aesthetics ranging from modern to rustic. 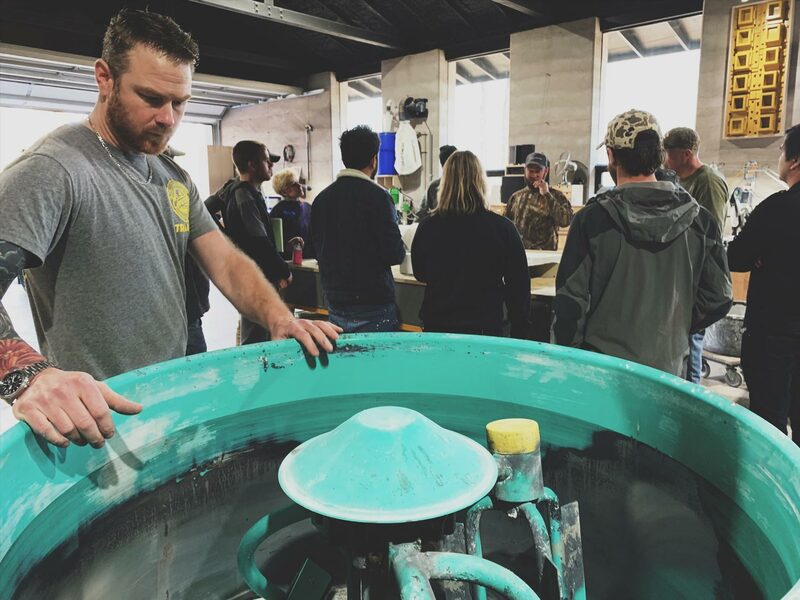 In this workshop Jon Schuler will teach you how to produce multiple finishes, embodying each piece with the mark of it's maker, in the truest sense. 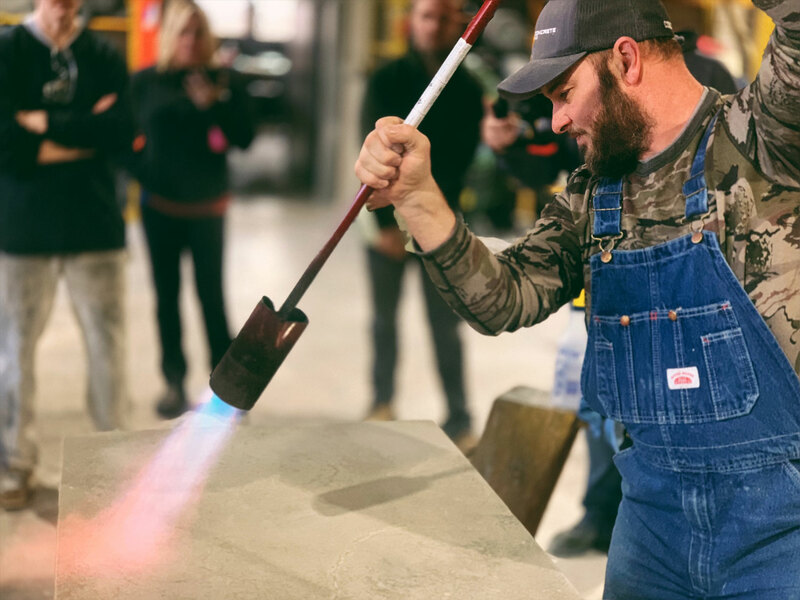 You will learn how every aspect of the mix, from design, to casting and curing, impress a signature on the final surface. 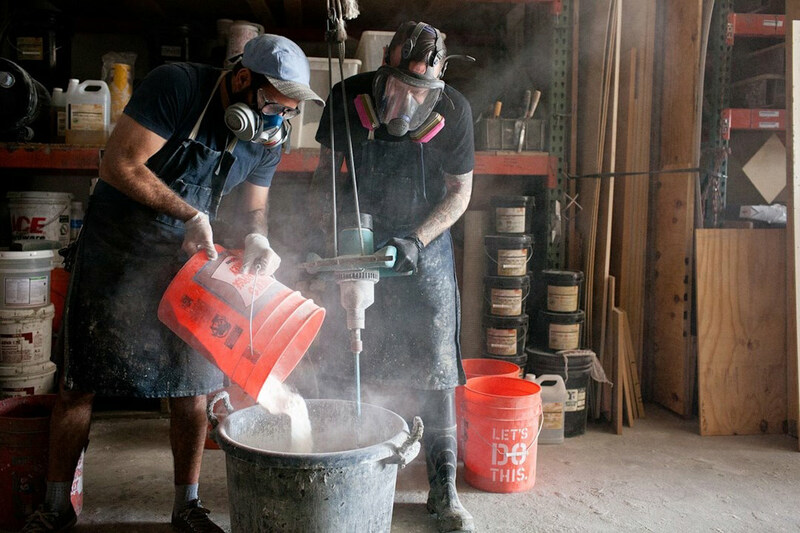 We will meld ancient tooling and casting techniques with the worlds most technically advanced concrete mix designs. Upright Casting, using the most rudimentary of tools, offers your customers a myriad of finishes that will not only increase the demand for your products, but the value as well. We will demystify the process, simplify the complexities, and teach you how to take command of your medium. Attendees of this class will craft a minimum of 3 distinctive finishes. 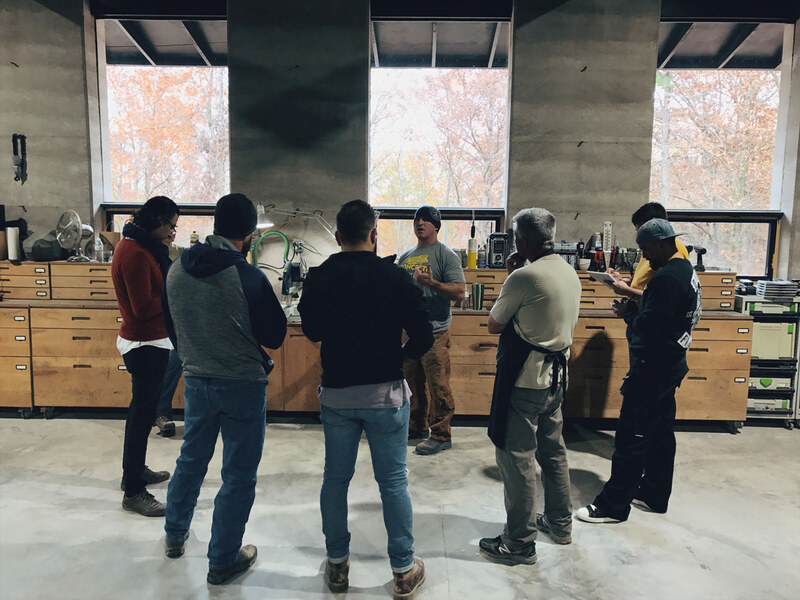 The workshop format is exploratory, allowing each individual to find their own design voice - aesthetics that resonate with them and their demographic. The simple hand tools employed include floats, trowels, and even your own hands! The sequence and manipulation of these tools and techniques are the secret sauce needed to boost your confidence, advance your offerings, and expand your earnings. Join us for knowledge, inspiration, and the most fun you can have while mastering a lost art! Private consulting is available for customized training or assistance with a project you are working on. 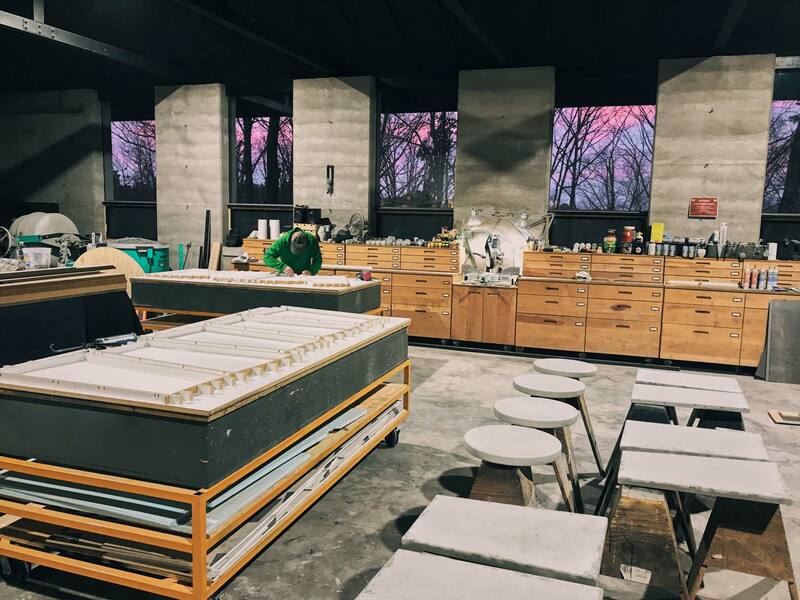 Consulting is a great option for individuals or companies that are unable to attend a Concrete Design School workshop or that require more advanced guidance. The information is geared specifically to the topic(s) that require attention. Example subjects include but are not limited to: traditional fabric-forming, FLOW fabric-forming, inflated fabric-forming, GFRC, post-tensioned concrete, rubber mold making, furniture design, concrete floor and overlay polishing and sealing, concrete floor acid-staining, using pumps for large scale concrete production, crating, shop layout, and sales and marketing. Consulting can be conducted at our studio in Eureka Springs, AR, Hurricane Mills, TN, or Murphy's, CA, or we can travel to you. We offer consulting services all over the world, we will trek to any location. Tier 1 Trainers / Brandon Gore, Dusty Baker, and Jon Schuler: Daily rate of $1,950 per day, per trainer, plus travel expenses if the training is conducted at your facility. Tier 2 Trainers / Chuck Fournier, Noel Moniot, Sean Hunter, and Joseph Crickett: Daily rate of $885 per day, per trainer, plus travel expenses. All participants will be required to sign a Non-Disclosure Agreement with penalties for unauthorized disclosure of material. The methods and formulas taught during the consultation may not be published, broadcast, rewritten or redistributed in any form. 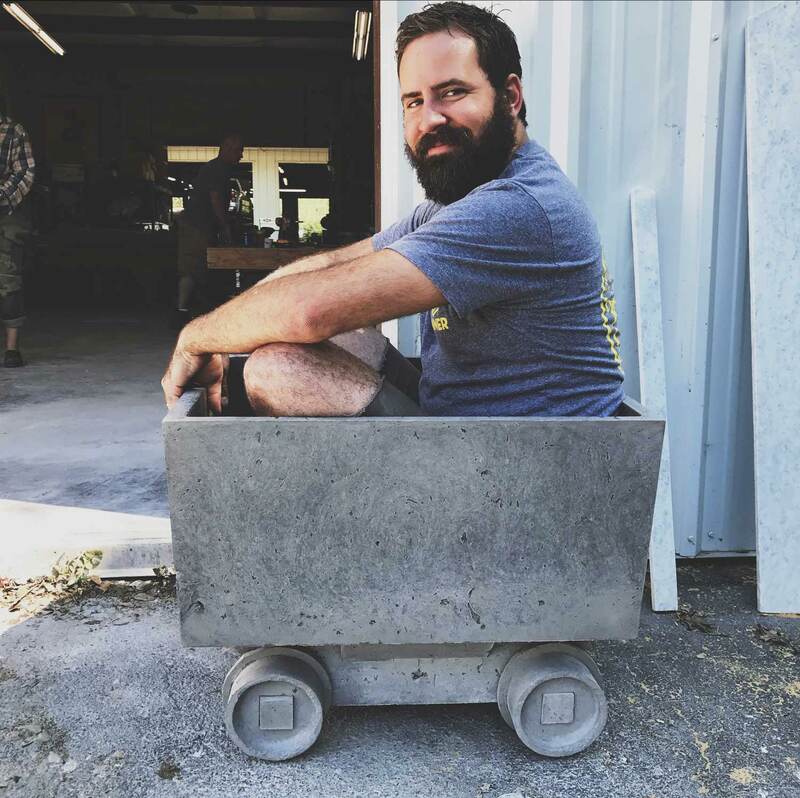 Concrete Design School is the continuation and progression of training workshops that Brandon Gore of Gore Design Co. and Hard Goods begun in 2005. 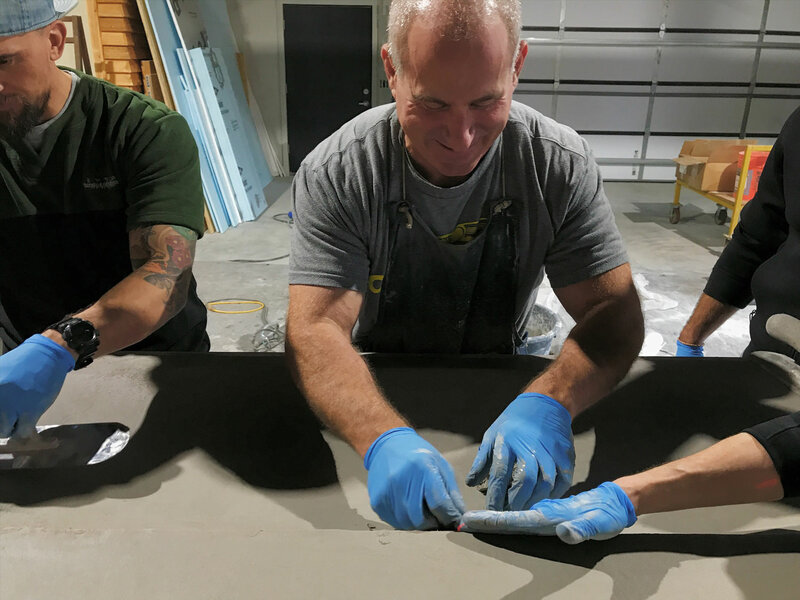 At that time GFRC (glass-fiber reinforced concrete) was in its infancy of being utilized in the application of concrete sinks and countertops. Training was not available then, it was all trial and error. 2005 In October of 2005, Brandon conducted the worlds first class on the subject of creating concrete sinks and countertops using GFRC. 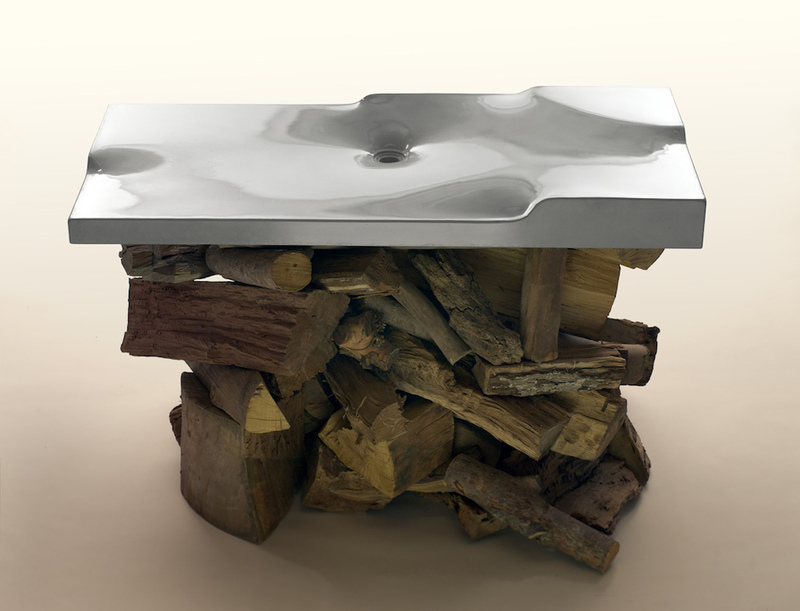 2008 In 2006, Brandon began experimenting with using fabric to form sinks. With the gaining integration of GFRC, concrete and its forming methods were quickly evolving. 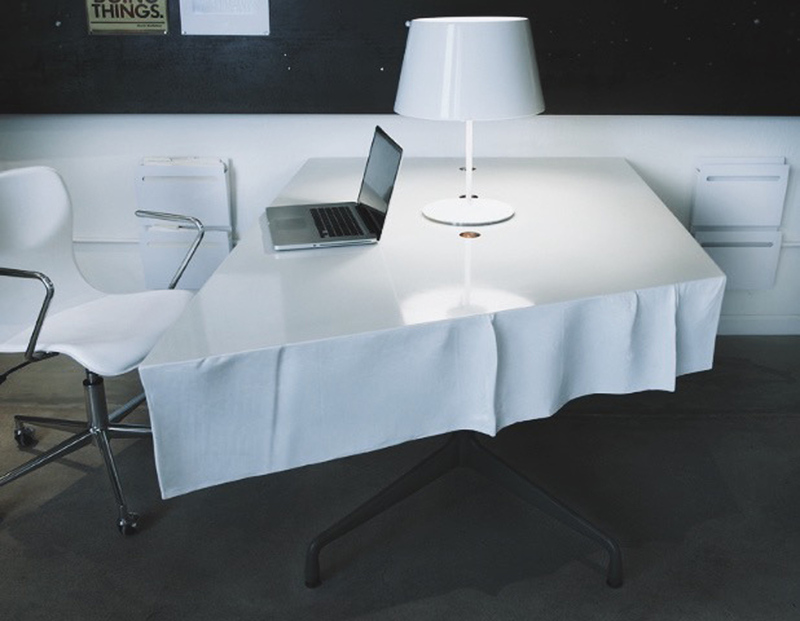 Fabric-forming is still cutting edge, but in 2008 it was unheard-of. Brandon Gore taught the earliest class on the subject in November of 2008. 2011 Fabric-forming techniques continued evolving, and in August of 2011, Brandon Gore taught the first class on a new type of fabric-forming that he coined "FLOW Fabric-Forming." 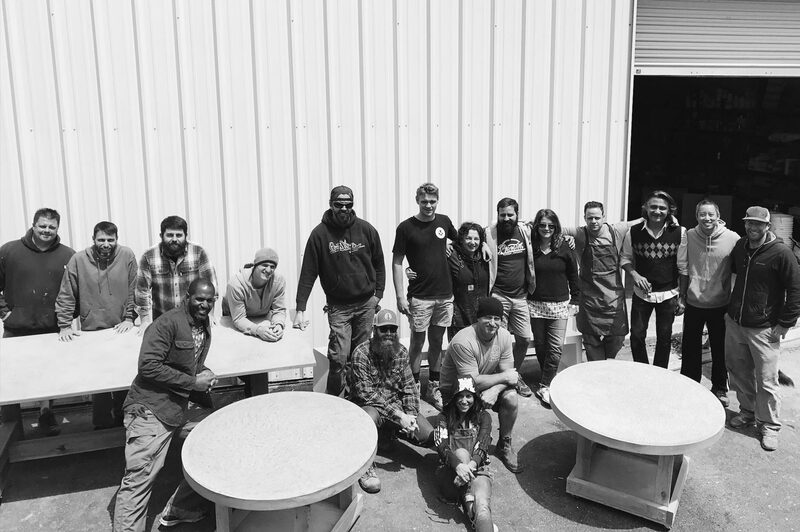 2015 Brandon Gore taught the industry's first class on Concrete Furniture Design in February of 2015. Our training has continued at a steady pace since 2005. Over that period of time the techniques, materials, tools and the methods of teaching them have been refined. 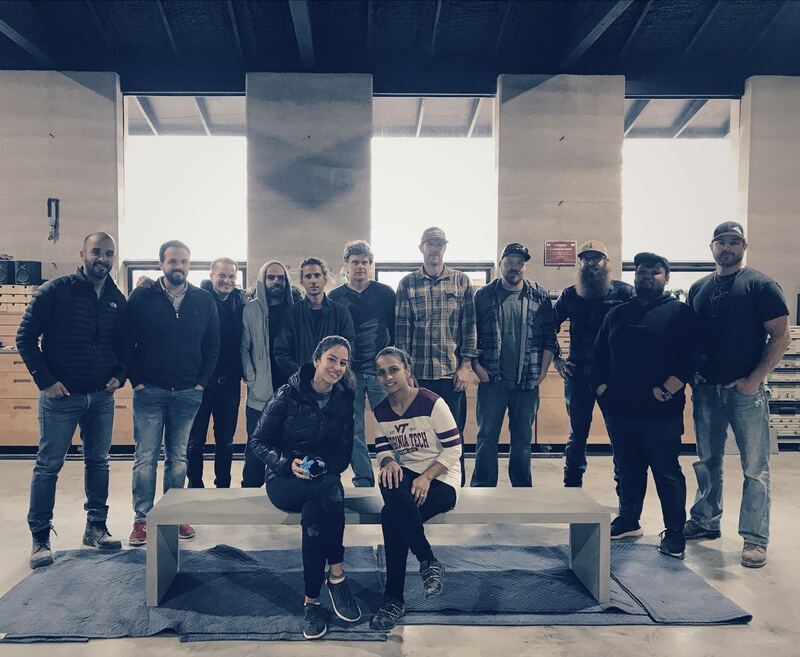 With the launch of Concrete Design School we hope to continue to lead the advancement of the craft of concrete. We will do so with the help of our industry partners, associate trainers and the continual progression of excellence that can only be gained through sustained hard work and innovation.